At a time in my city when major rescuing, rebuilding and rethinking is the daily norm, I am humbled by the efforts of the volunteers who step forward. Fear has not been an option. Moving forward is the only choice. We could wonder why this had to happen to us. We could lament about the losses, or wring our hands over the huge road ahead. Or we can take one step, in the direction that makes sense. Fear – it is the only thing that has ever, or will ever hold you back. Courage, belief, trust – one breathe at time. And then you decide where you want to focus and take a step in that direction. Last week we explored fear – and asked Wisdom to guide us through it. Call in today and re-pattern with Suze – whatever has held you back in the past is simply the stepping stone for where you are heading in the future. Suze offers on-line seminars and in person courses for everything from applying Belief Re-patterning to getting rid of clutter to becoming a Belief Re-patterning Practitioner. 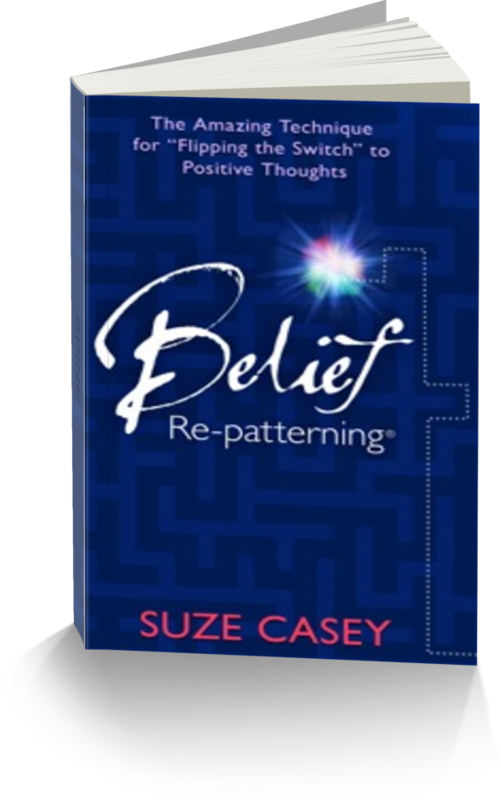 “Suze I really love your Belief Re-patterning book! Its filled with so much helpful info that is easy to implement. Thank you!“ – Sue A.